This is actually pretty tricky, putting aside such cinematic wonders as Crocodile Dundee 2 and Police Academy 5, this is also the year that brought us Who Framed Roger Rabbit? and Big. The dilemma for me though is choosing between two of my favourite films: Rain Man and Die Hard. In the end I’m going to have to go for Die Hard. It’s just everything I want in an action film. This one is a bit easier. Although I’m sure that most of you who were around at the time will be picking Batman starring the fantastic Jack Nicholson as The Joker, I have to go for Dead Poet’s Society. We’ll just gloss over the fact that this was the year that brought us Kindergarten Cop shall we? 1990 also saw the release of the final (and weakest) installment of the Back to the Future trilogy and the second (and weakest) of the Die Hard quadrilogy. Enough of the slightly dodgy though, there was also some good to ring in my terrible twos, including the surprisingly sweet Mermaids starring Cher and Winona Ryder, the quintessential Christmas film Home Alone and this year’s winner: Edward Scissorhands. This might be an unpopular choice, but I’m going to pick Robin Hood: Prince of Thieves. It might involve a more American Robin than we’re used to in the form of Kevin Costner, but Alan Rickman as the sheriff of Nottingham more than makes up for it. Here’s where I start to change the game a bit….As I was working through finding films that were released in each year, I came across a problem. There are films that came out in these years that I absolutely adored at the time, and still love now, but there are also films I’ve come back to as an adult that might edge out those childhood favourites if I’m asked to choose. So from here on I’ve kind of cheated a bit. Sorry Andy. Hopefully as well as being a massive cheat, it’s interesting for people other than myself to see what I was into at the time, and what I’ve come back to discover later. So what was the 3-4 year old watching in ’92? Aladdin of course! Meanwhile the grown up (well, not really) version looks back on ’92 as the year that gave us Reservoir Dogs. Bit of a contrast there…. This was a good year for childhood movies. Not only did it see the release of my guilty pleasure movie Free Willy but also Mrs Doubtfire and Nick Park’s brilliant short film The Wrong Trousers. The best childhood movie of ’93 for me though had to be Cool Runnings. Some people say you know they can’t believe…. This seems to be the year of Jim Carrey, with both Ace Ventura and The Mask showcasing his “rubber faced humour” as they love to call it. 1995 was a big turning point for animated movies. It was the year Toy Story was released, becoming my favourite film instantly and holding on to that top spot for a long time. Also that year came Apollo 13, Braveheart, Desperado, Die Hard With A Vengeance and The Usual Suspects, but you know what? I still love Woody the most. This is an easy pick in both directions. My favourite film at the time (and I still love it now, because I’m cool like that) was Muppet Treasure Island. Tim Curry as Long John Silver. Yes. But the best film to come out of ’96 has to be Baz Luhrmann’s Romeo + Juliet. I’ve written about it on this blog more than once, but it really is a fantastically made movie and a clever adaptation of the worlds best known love story. Lots of big Sci-Fi movies in ’97: The Fifth Element is an under-rated movie, sitting alongside Men In Black and GATTACCA. This was also the year the world went crazy for Jack and Rose in Titanic, but I’m going to pick a film that you might not know: Donnie Brasco. It’s a great look at what it’s like to infiltrate the world of organised crime, made all the more significant because unlike the many other gangster movies out there this one is true. In the year I hit double figures I have another very clear early cinema memory; going to see A Bug’s Life. This time it was my little sister (then 5) who was in awe of the big screen for the first time. She stood up for the whole thing. 1998 was also the year of the battle of the killer Meteorites, with both Deep Impact and Armageddon coming up with different ways to prevent the apocalypse. I’ve gotta admit I prefer the ever so slightly cheesy but more fun version involving Bruce Willis and a giant oil drill. As much as I love both these films though, I think my adult film of ’98 is going to have to be The Truman Show because not only is it a much unloved movie with a beautiful soundtrack that more people should see, but it also proved to me that even though I’d always been a fan of Jim Carrey because his dumb humour made me laugh, it turns out he can actually act too. It’s 1999! The year I started secondary school and everybody started panicking that the world was going to end when the millenium came. Light relief form these two distressing issues came in the form of a year of great movies including Sleepy Hollow, The Green Mile, Dogma, Notting Hill, The Talented Mr Ripley and 10 Things I Hate About You. This presents both the young and old versions of me with a dilemma because it’s quite hard to pick. 11 year old Katie is torn between The Iron Giant and Toy Story 2. Both amazing films. Both still watched with regualrity. I think my life long love of Pixar will win in the end though. Meanwhile 11 years older Katie is debating whether I love Fight Club more than The Matrix. I don’t think I do. The world didn’t end. Confused computers didn’t bring civilisation to a standstill and (scarily) we have reached the halfway point in my life. Quite a lot of good “family” films came out this year, and despite being 12 at the time, I still had a soft spot for movies like El Dorado and The Emperors New Groove. Kids movie of the year has to go to Chicken Run, especially because it’s better than the classic its based on. And while I can imagine a lot of you bloggers out there will pick Gladiator as your movie that kicked off the noughties, for me film of the year is the one that started my transformation from realtively geeky kid into Marvel comic super nerd. Because this is the year they brought out X Men. And here’s where the split ends….by 2001 I’m 13 and my favourite movies of each year at the time tend to still be firm favourites. That probably has a lot to do with the release of a certain trilogy…There are still a lot of movies that I discovered later, but there’s less of a stark split in tastes as there was in the earlier years, so I’ll stop cheating and go back to only picking one movie per year. I’m not going to pretend that the next couple of years picks aren’t going to be pretty predictable. I could deliberately pick other movies in the interest of variety, but then I wouldn’t be picking my favourite film, which kind of misses the point now doesn’t it? 2001-2003 was all about three films for me despite other great releases including Donnie Darko and Moulin Rouge in ’01. But there’s never going to be any question that my film of the year is The Lord of the Rings: The Fellowship of the Ring. If I hadn’t been to see that film, this blog would not exist. And that’s about all I can say that you haven’t heard a thousand times. Not even the release of Spiderman can topple Tolkein in ’02. As one trilogy came to an end, Pirates of the Caribbean appeared to fill the hole. But the big finish was definitely worth the wait, and The Lord of the Rings: The Return of the King delivered the epic battle scenes and final showdown we’d all been waiting for. OK, no more LOTR, you can stop rolling your eyes now. ’04 is quite tricky for me because there are a lot of films I really like, but not one that stands out against all the others. 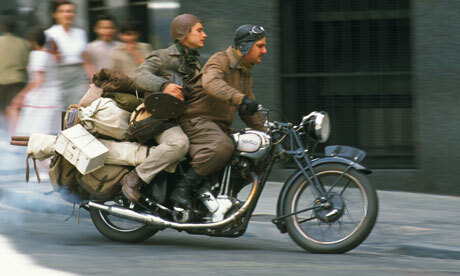 There are some fun films like Spiderman 2, The Day After Tomorrow and Wimbledon but I think I’m going to have to go with The Motorcycle Diaries; a recent discovery that really surprised me with how good it was. 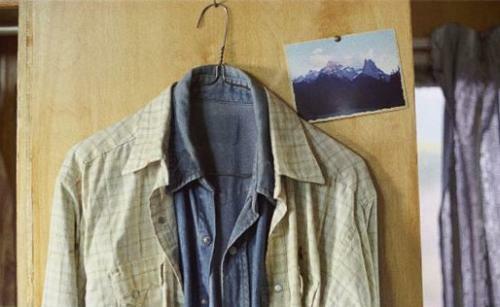 Even though one of my current favourites, Kiss Kiss, Bang Bang came out in this year, I’m going to have to pick Brokeback Mountain because not only is it a fantastic piece of cinema, it was quite a moment in movie history, if only for showing us just how talented Heath Ledger was. 2006: I left school and set out for the big smoke to start my degree. 3 fantastic years of new friends and new movies followed. Loads of great films came out this year, but I’m picking Casino Royale because it was the first film I ever saw on the big screen in Leicester Square, with 3 people who are still among my best friends. It also converted me on Bond films. I will never forgive 2008 for Mamma Mia. It still gives me chills. 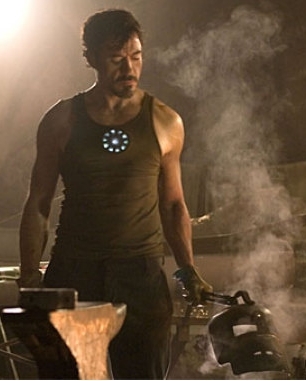 It does try to make up for it though with The Dark Knight and the possibly controversially picked, (but I am a Marvel girl after all) Iron Man. The year I graduated from uni (the first time). The year I started this blog, and a big year for movies. No wonder I was inspired! I find it impossible to believe that Avatar came out 3 years ago. I was also converted to the trekkie side by J.J. Abrams and got into endless fights with bloggers about why Wolverine should not be trashed all over the internet. It’s a tough choice, but I think I’m going to pick Sherlock Holmes as my film for ’09, because I can’t wait to see what happens next. This gets easier as I’ve had less time to get to the cinema and so have seen very few of the films released in the last year. The ones I did see are all strong contenders though; Inception, Iron Man 2, Toy Story 3…I’m going with The King’s Speech. Partly because it got me to finally forgive Colin Firth for the sins of 2008, but mainly because it did what very few films manage to do, it lived up to the hype. And there you have my semi-autobiographical life in movies. I’m back at uni again, and struggling a bit to find time to get to the cinema or post on here, but getting involved in things like this reminds me why I started STRM in the first place. Hope you all enjoy having a read through my tragic taste over they years. Looking forward to being trashed in the comments. Click HERE to see what everyone else has picked. Great list Katie and I have to say you can tell that I am only a year older than you by the matching in our choices and the reasons behind the choices. I LOVE that you also chose Robin Hood: Prince of Thieves! And Your reason for LOTR: FOTR my blog would also not exsist! That really created my love for cinema. Love this list. Really unique. I am afraid to say that we do not share a single film….I don’t think so anyway. heheh Also i am getting tired of everyone having such smaller lists than mine!! 37 films!! We have some similar movies here. I would have put all 3 Lord of the Rings…but Spirited Away beats the return of the king. Nice to see some love for animations in your list. Custard: we don’t share anything? Oh well, diversity is a good thing! Thanks for participating, I think you have embraced the idea more than any other participant. I do worry about you two though, debating the merits of Spirited Away and Return of the King in the year that Oldboy came out! I have to put my number one animation in my list…ROTK has to step down a little 😉 it is in my honorable mention if I wrote one. It did actually take me two weeks to research and write. Nothing beats ROTK. End of discussion. 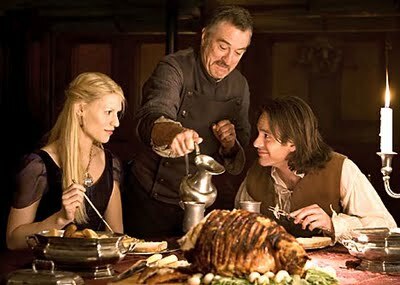 I always thought Leonardo DiCaprio and Claire Danes made a great Romeo and Juliet. I’m glad I’m not the only one! I never would have guessed that I’d see more than one list with Muppet Treasure Island on them! Too funny. Very nice list, I think we only have Die Hard and Return of the King in common, but a lot of yours would have been my second or third choices. Meredith: It’s the best adaptation I’ve ever seen. Fletch: who else put the muppets? I didn’t think it was you….I need to find this person with equally rubbish taste! 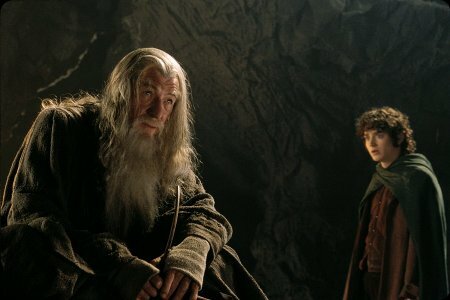 I know that the LOTR series could be counted as one movie, but my list is kinf of autobiographical rather than objective, and during those years there was only oen film release that really had me desperate to get into the cinema. Dan: Die Hard is a very popular choice (why wouldn’t it be?) I’ll have to head over and give your list a look. Woo hoo! Love your list, Katie, lots of my fave movies are here… Casino Royale, LOTR, Iron Man, Chicken Run, all the Pixar stuff AND THe King’s Speech!! Oh, and I loved Prince of Thieves when it came out (yes including THAT Bryan Adams song), I even own the dvd! Thanks Ruth! There’s nothing wrong with loving prince of thieves. I’d take Costner as Robin Hood over Crowe any day. Even with equally dodgy accents. Hey Katie, if you’re a big fan of Costner, you’ll like a post my contributor just gave me the other day. I’ll let you know when it’s up. Cool list, though I just can’t agree with a lot of these choices. But it is interesting to see how much nostalgia plays a role in the movies we love! My 88 pick would also be Die Hard, without a doubt. The only other movie that comes close is Roger Rabbit. I would also take all 3 Lord of the Rings movies and The Matrix for their respective years. But I think those are the only places we agree. Thanks Ruth I’ll check it out when it’s up. Ian: yeah nostaliga has a lot to do with it I think. It’s kind of like music, sometime you love a film more because it reminds you of a time or place.